Mushroom-seekers like me (there are some out there, aren't there?) should be thrilled to smell quite a lot of cepes absolute alongside the leather. The pairing is genius. Mushrooms lend leather a vegetal instead of animalic undertone (although there is some of that too, with civet in the base), making it dirty in a new and unique way. And the leather turns raw and rustic mushrooms into a Perfume...and Haute Couture. Available at Dawn Spencer Hurwitz's Parfum des Baux Arts and Indiescents, $22.00-$100.00, depending on the size. Interesting that you got a lot of leather from this - I got some, but on my skin the mushroom was really powerful. I know I amplify white floral notes, and since they seem to be kissing cousins to the earthy/meaty mushroom absolute, maybe that's why it's so dominant on me. I love this one. It is one of the few leather fragrances I can tolerate. DSH makes some amazingly creative scents. I love that they are daring, but always end up refined and elegant, no matter how wild the concept. That's a good theory! I wonder than what your skin will do with Cepes & Tuberose then! Very true. Often I read a description and think, oh, this might be too odd too wear. And inevitable, it turns out wearable. I did imagine uber leather and super dirt, and it is a very balanced, dare I say leaning towards traditional sort of chypre composition! Marina, thanks for this review. I have been wanting to sample this for awhile now, and your review has made me antsy to do so. I am glad it did. It's really worth trying! Marina, I appreciate the review and agree with you - DSH compositions are beautifully creative. As of yet, none of them last on my skin, which bums me out. How does Cuir et Champignon compare in that department? I need to try this again. I was a little overwhelmed the first time around--something in her base, since I get it in the other samples, too. BTW, one of the samples in my CeC batch had an accord that was a dead ringer for Sotto Voce. Been meaning to figure it out and tell you since I know you're a fan. Dirty and unique and leather. Sounds good. Does anyone else get a bit of mushroom in Aumouage Jubilation 25? I love love love this one! Fabulous review M. Cuirass et Champignon fascinates as a fragrance , all of that leather but softened , spicy and just a touch salty/ sweet! It does wonderful things on my skin! have you tried DSH Secrets of Egypt collection? oh, so which one is that?! I am sure it smells delicious on you! I tried the Egyptian collection, what about you? this is one of the scents that are keeping me with a desire to try since last year. this is probably mysterious to me, i think as i love humidity scent in the forest i can associate it to champignons, i don´t know, i have to try it. And then there is the reward, the morsels themselves. Perfume. I love mushroom hunting in perfume. Send me out for morels, and the moral of the story will involve not putting your life into the hands of the ignorant. Fungi can be lethal. Must say I adore the image, and thanks for the review. DSH is so inventive, isn't she? You definitely should try it, it is is fascinating. Yes, so much imagination in her scents. No, I did not try it, I was curious what you thought about it. As for the scents of Egypt, I like several, and Keni was a stand out. I'm really enjoying the mushroom exploration. Sadly none of the DSH work for me. I do get an odd shitake mushroom note later in the drydown of Champagne du Bois -but I'm sure I'm the only one. I love earthy/soil notes in perfumes also and would love a series on this,too. Thought your illustration was genius for the review! Thank you for this review. I was quite scared of trying it, but now I will. Oh, do want, do want! This sounds astonishing. How lovely! oh you have to try! That is an awesome picture! I can't say I've smelled any mushroom fragrances, but I would love to now! Thank you very much, Joan! I think you would like this one then! I had been wondering about this scent: intrigued by the "cuir" but leery about the"champignon". You have definitely made it sound worth trying. Thank you! 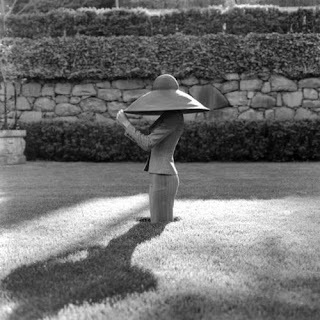 Rodney Smith's work is amazing.